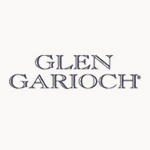 Glen Garioch distillery is one of Scotlandâ€™s oldest functioning distilleries, and is thought to have been Scotlandâ€™s first licensed distillery - its first distillation at the site is recorded in the Aberdeen Journal as early as 1st December 1785. It is well known to be an innovative brand, as it pioneered the use of gas fire in its stills, and also was the first to utilise a waste-heat recovery system that saves them Â£90,000 annually. Located in Aberdeenshire, this Highland distillery has changed hands many times in the last two centuries and is now under Japanese Suntory ownership.